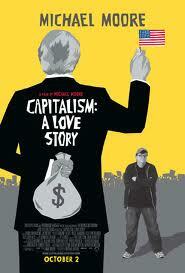 I recently watched Michael Moore's documentary Capitalism: A Love Story. I always enjoy Michael Moore's films but I do always have problems wrestling with the agenda of his stories. Although often don't disagree with the agenda I don't like have it smacked in my face every five minutes. This of course does happen in Moore's films. This film covers how capitalism is not working for the working people of America and goes on to say all the problems with it. Its not offering alternatives just suggests that it needs control. there is plenty of ammo for him to get his teeth into. One thing lacking in Moore's film on capitalism is an explanation as to what happened in the banking crisis perhaps he could of done a funny cartoon to cover this as his films have done in the past (I'm thinking of Bowling for Columbine with the cartoon of white people needing guys to protect themselves from African Americans). Maybe he didn't bother because others have covered it, I'm not sure but I would of like to of seen this in the film. The best bits for me n the film is when Moore deals with the stories on people lives like employee insurance where companies have not had enough employees die to meet their profit margins 'Dead Peasant Insurance'. The Florida estate agent who buys cheap foreclosed properties with Condo Vultures from 'bottom feeders' as he calls them. The film is more like his old TV program 'TV Nation' and therefore a return for me to his best. I think his over documentary thought good and enjoyable have missed some of the old Michael Moore. There where a few flashes of Moores dislike of Bush which led him putting too much faith in Obama. Although it would appear that Moore feels like he is doing this all on his own and at the end he calls for others to help him. I think Moore needs to be prepared to be disappointed on both counts. Early today while I was listening to the Labour Leadership debate on BBC Five Live I tweeted this '#labourhustings what an unfair voting system for labour leader no wonder they don't now support AV'. The Labour leadership system is made up of weighted votes. Voters do have a list candidates in order of preference system but use an electoral college system. This is how it works, Ballots of the three sections of the electoral college are completed. Weightings depend on the number of people in each of the 3 categories. There are the activists, members of affiliated organisations, such as trades unions and socialist societies and those whose votes are worth the most are the MP's and MEPs. In addition Unions recommend their preference but it is still up to the voter to decide. Results from the separate categories each make up a third of the final result. All this and the fact that candidates need a nomination of 12.5 per cent of MP's (or 33 MP's) to stand. So its no wonder that Labour are going back on their manifesto pledge on AV and will now vote against the bill. Althought I cant see how anyone in Labour could claim that other voting systems are too complicated when theirs is both complicated and unfair. £1m leg up the housing ladder - First-time buyers will get a leg up on to the housing ladder with the help of a pioneering, multimillion-pound scheme that will benefit house buyers, the council and the taxpayer in a “virtuous circle”. ‘Mixed response’ to wind turbine plans - A public exhibition detailing plans for four wind turbines near Arborfield, Shinfield and Earley prompted a “mixed bag” of comments. Mark Reckons wonders Do I have as much at stake as some other Lib Dems? I'm always amazed at how upset the Daily Mail gets about the subject of rubbish. It would appear however that there is an element of truth to their story on council race spies secretly rummage through rubbish bins to discover families' habits see here. I'm really not sure why the Daily Mail thinks this is about race as claimed in the article 'Often, officials deliberately picked streets where different types of men and women lived to see if their ethnic origins, type of home or wealth affected the amount or rubbish they threw out'. I doubt this is even possible in Bracknell. Bracknell council have admitted that they do employ companies who will empty some bins from a random location into a separate white van to find out if that area is recycling or not. They then send leaflets to that area. the council do claim that they are not spies and that no profiling is conducted of individuals or households. Still it must be tempting after all if you know where the bin came from you may know who throw the rubbish away incorrectly. The same article also claims that 'Officials in Wokingham, Berkshire, went through the bins of almost 500 homes, identifying almost a ton of rubbish that could have been recycled'. There are people going through the bins in both Bracknell and Wokingham. If this is not about profiling and includes helpful leaflets to given areas than I don't see a problem with it. But I would not want someone to know that I have thrown away something personal or any ID or data and to of know where it came from. So if you do have anything that contains important data I would not throw it away in your local bins but have it shredded before hand. Mondays Newsnight coalition special highlighted a problem for me with understanding the difference for the public of coalition policy and party policy. One young lady said she would not vote Liberal Democrat again because of the Vince Cables proposed graduate tax. Firstly I got the impression that she thought this was going to happen when it is one idea to be discussed. Secondly the Liberal Democrats have not dropped their policy on scrapping tuition fees. If the Liberal Democrats were in power on their own I have no doubt that within the 4 or 5 years of government they would scrap fees by the end of the term or when affordable. I also wondered if she understood that this is a progressive tax and would mean no more tuition fees and not an additional expense. Maybe the word taxation scared her off the idea. I guess this has not been explained to the public. I thought Liberal Democrat MP for Burnley Gordon Birtwistle could of done a much better job explaining the differences between the two parties and explaining Liberal Democrat policy. It seems some MP's need a bit of coaching on how to explain coalition verse party policy. The problem is that people don't always understand that both the Liberal Democrats and the Conservatives still have these policies, its just that they can't introduce them into a coalition. I think both parties need to make it clear during the conferences and during other campaigns that they both still have their distinctive policies. As per the Conservative Home blog '44 Tory MPs sign Early Day Motion opposing Coalition's timetable for AV vote'. and Benedict Brogan Blog 'Bernard Jenkin lines up his Tories against AV '. I find myself agreeing with this motion. As a supporter of voting reform I find this a strange situation to agree with Bernard Jenkins Conservative MP who is a supporter of FPTP. I agree for different ideological reasons but I also believe the date is wrong. I think a fair time to have the referendum would be Thursday, 5th June, 2014 during the euro elections. Because the whole country will be voting, I know there is a low turnout for the Euros but there is also a low turnout for most other voters. I blogged my reasons why in this posting 'Is the AV referendum badly timed'. Bernard Jenkins does have some good points in the statement. That this House notes that in 2002 the Electoral Commission, following consultations on the holding of a possible referendum on the Euro on the same day as other elections on 1 May 2003, issued a statement making clear that referendums on fundamental issues of national importance should be considered in isolation and that they should not be held at the same time as devolved assembly or local government elections; further notes that in a recent report the House of Lords Constitution Committee recommended that there should be a presumption against holding referendums on the same day as elections; recognises that this advice is in accordance with best constitutional practice in countries such as Switzerland, where referendums are more regularly held; believes that this constitutional practice should be observed unless there are very exceptional reasons for it to be set aside; is concerned at the proposal to hold the referendum on whether to change the voting system on 5 May 2011, which is the same day as elections to the Scottish Parliament, the National Assembly for Wales and to local authorities in Northern Ireland, but only in parts of England; further believes that this proposal would allow other issues to cloud the referendum debate before the vote, would artificially inflate turnout in some parts of the country but not others, and that it may accordingly advantage one campaign at the expense of the other; proposes that any referendum on this issue should therefore be held on a different date; and looks forward to advice from the Electoral Commission on this matter which is consistent with its previous statements. I believe it will allow other issues (mainly party politics) to cloud the vote. It would mean that other parts of the country would have a bigger say due to turnout. The campaign I think needs more time. A loss for this vote is a risk for the Liberal Democrats as we can't then claim to have AV in our back pocket, question would be asked by Liberal Democrats on the coalition. The current low support for the Liberal Democrats could also effect the vote for AV as it maybe seen as a pro Lib Dem vote if we do not get another support from some Labour and Conservative MP's. This is a major and inportant vote and should not be confussed by other campaigns. What better time to vote for a new voting system then when you are already voting in a proportional system (all be it regional). There would of been 4 years of a working coalition why upset the boat now. I would add that the this vote does not have to be during the Euro elections but I feel it should be later than next year and not during the Scottish Parliament or National Assembly for Wales elections. The Wikileaks (see here) release of 92,000 reports shows not only the heavily reported coalition killing of civilians, kill or capture missions and the Taliban using deadly surface-to-air missiles. It also shows just how Taliban are killing civilians and there are some awful reports of Taliban attacks. There are also reports of funding,training and arms supplying from Iran (see here). It's worth bearing in mind that there are two sides to this story (or more) with the Afghans in the middle who are the biggest losers. I know there are now more children including girls going to school and some safer areas and some people are now protected from some of the awful Taliban laws but there can be no doubt that the short term (if I can call it that) is awful. The press conference today given by Wiki Leaks founder Julian Assange also told how the Australian secret service was asked to investigate Wikileaks (who refused the US request) and that there is a further 15,000 reports yet to be published. These reports have not yet been released because they are being checked to ensure that they don't endanger civilians. Perhaps this data is dangerous for the military but it does show that if you try to hide secrets then sooner or later they will be exposed if that secret is big enough. It should also be noted that not all of these report will be 100 percent accurate but they are only as accurate as any other reports taken by the military during a conflict can be. But its the general picture of the war that it paints that is most important. I would also add that I have been quite impressed with how the guardian have reported this story on their Web site. With a live blog and map of the significant incidents (see here). Expect this story to not only run and run but actually effect the way this war is reported an conducted. Bit of a presumption David 'The Grassroots choice' How do you know. The vote wont be known until September 25th! I sent the the letter to Chris Huhne who is the Energy and Climate Change Secretary as I am concerned about a number of issue related to the switch off of the anologe signal for radio broadcasts. I was and am very pleased that you are the coalitions Energy and Climate Change Secretary and I was very impressed when I met you at the Southern Conference in Eastleigh and you spoke to me about the BNP and I was very pleased with your support for Professor David Nutt. But now you’re in government there is something I think you could act on quite easily. I wish to bring to your attention my concern with DAB Radio and Energry Management. Firstly not only is the replacement of the current FM radios a concern but also the worry that DAB radio themselves many have to be replaced within a few years because of the new AAC+ audio codec, and existing stations that use the old MP2 format will probably be switched off completely in the UK in around 7-8 years' time. All this replacement of radios tends to use materials and energy. Surely we should not be forcing people to throw away their old radios. It is a known fact that DAB radios tend to consume more electricity than old-fashioned analogue one although this is improving I doubt they will ever use as little power as current analogue radios. Also as Liberals I do not believe it is right to force people to give something up that works perfectly well. I myself like to use a small MW/FM radio at football games and I cannot find a DAB radio that functions this way. Of course the other issue is cost imagine how many voters particularly some older voters will be happy to hear that we are not spending all this money on digital radio antennas and adverts or indeed the saving they will make by not having to buy one. It would demonstrate good Liberal values and also not force the poorer people who pay the same money for DAB radios to buy them. Please do write back to me and let me know your course of action as I will be publishing it on my Blog (www.bracknellblog.blogspot.com/). I wish to protest in the strongest possible terms against the Coalition Government’s plan to force all UK residents to change over from Analogue to Digital radio. First of all, there is the needless personal cost to each and every one of us in a period of recession, money that could be far better spent by us - e.g. home insulation. Secondly, this will mean the scrapping (and the costly and extremely limited recovery of any useful raw materials by recycling under WEEE) of millions of perfectly good FM radios. This will not only include the great many cheaper basic radios, but will range right on up to lots of very expensive Stereo outfits. It will also involve all CD players that are combined with FM radios, as well as all clock radios - and worse still, it will encompass all those radio receivers fitted in our cars and trucks as well! Can you please consider in great detail the total carbon footprint of this proposed changeover, as compared with all of the perceived benefits? Can you please list these benefits for me, in any respect, including any conceivable energy saving, climate change and any other environmental advantages that may be involved? The way I see it, it is true to say that the only really tangible benefit is to the manufacturers and retailers of all this new radio receiving equipment! Making all of this new equipment is going to not only consume a great deal of money that is in very short supply, but also needlessly consume a huge amount of precious energy, and use up a lot more increasingly scarce raw materials as well. I really cannot see how this fits in with the Lib-dem’s environmental policies of greening our economy and tackling climate change. It looks far more like a Tory policy, giving way to a big business lobby once again! When you have reached the sensible and logical conclusion that I would expect from you, both as a Lib-Dem MP and the Energy and Climate Change Secretary, I trust that you will do all in your power to stop this enforced changeover going ahead..
IMHO, purchasing a DAB radio, in any shape or form, should be left as a free market choice by the consumer, when such a purchase is under their unpressurised, natural consideration. Furthermore, from an Energy Saving and Climate Change Action perspective, wouldn’t you agree that, ideally, each and every one of these new DAB radios should be sold with a reminder that, if you are buying one solely to keep up with the latest technology, you are needlessly consuming precious energy and natural resources and adding to your personal carbon footprint? I very much look forward to hearing from you in due course. There are other letters but I think you get the idea. When we receive our replies I will post them here. 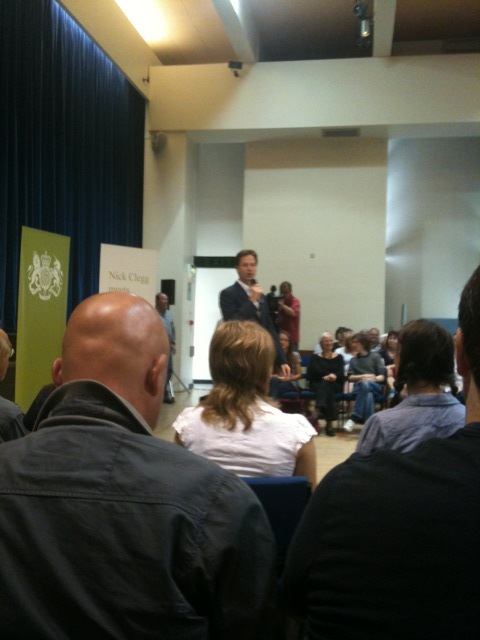 Just got back from the Q&A with Nick Clegg. I'm told on Twitter by Mark Reckons that this was on Sky News unfortunately I didn't know this. So I'm not going to blog all the Q&A like I normally do because I wanted to talk the whole event in without thinking about the event like a reporter. First thing that struck me was that there was no registration as there was when I attended the Cameron Direct in Reading. I could just turn up, show my picture and walk in. I'm not even sure why photo ID was required. It was amazing to me to see so much security around a Lib Dem leader, There wasn't really a chance to talk to Nick Clegg afterwards as far as I can tell. There was a funny reference to David Davies who today was caught making some negative views on the "Brokeback Coalition". I was impressed with the way Nick Clegg answered the questions although he was no better or worse than David Cameron in my view. I was also impressed at how packed the room was, some people had to stand. Questions ranged from a quote from the Daily Mail, to unfair council tax, benefit cheats, pensions, Academies, local building planning. Nick Clegg try to answer all the points and could not answer only two questions. One a local question about a bridge build and one about an NHS memo on flexible hours as this was not due to the government but was a local NHS issue. There were some funny moments, Nick Clegg does operate well infront of the British public. I was very impressed with the audience too who did not interupt or heckle and listened to Nick Cleggs answers even when they were clearly not happy about with Cleggs answer, such as when he answered a lady question asking why he did not sack Chris Huhne MP because of his mistress scandal. My questions would of been on the timing of AV voting reform, IR35 and keeping the Liberal Democrat identity (I know thats 3 questions). Sadly I never got to ask any of them as 1 hour is never enough time at these events. I hope the next Q&A event I get to attend is with the new leader of the Labour party so I can see all the leaders in operation. As you can see I have changed the design of Bracknell Blog. I will also be adding in more links and will be updating them so I can provide my readers with a better service. I will be attending the Open Question & Answer Session with the Deputy Prime Minister Nick Clegg. I will report back on any points of interest. I will be wearing a a green top with Living Colour written on the front and tour dates on hte back and blue jeans if you wish to chat. Seats will be allocated on a first come first served basis and a photo ID is required. I recommend watching the Newsnignt special where A Company, 2nd Battalion of the Yorkshire Regiment is followed for a year in Sanginm Afghanistan, See Iplayer here. This is filmed by the soldiers themselves and also shows the interaction between them and the Afghan army. There is a very harsh moment when you see one Afghan solder who is blown up and looses all of his limbs. In this you can see the good and bad sides of the afghan army (who only receive 8 weeks training) certainly the positives aspects such as improvised explosive device detection which is not shown in our media. There are some massive school boy errors too by the Afghan army which only looks worse then shown beside the highly professional British army. This film also demonstrates not only how hard it is to fight the enemy especially when that enemy is so hard too see, but shows how hard this war is on the partners of the solders. I don't really understand why some people are getting so excited about the current AV poll results when it has not been properly explained to the public or before a full campaign for or against AV has begun. The results by YouGov shows AV on 39% and First Past the Post on 38% see here. Something else that is not considered in this referendum polling is who is more likely to turn out to vote in the areas where there are no other elections. Are pro AV supporters or pro FPTP supporters more likey to vote. I would have an educated guess that there could be a higher turn out of people that feel strongly about changing the system than those that want it to remain the same. This could have a big effect on the vote if turnout is low (which I expect it to be). A poll report by Lord Ashcroft of Conservative marginals shows what would happen under AV in these seats see here. I think that AV may be affected by a drop in support for the Liberal Democrats because AV could be seen bu some as a pro Lib Dem system. This is one reason why I think the AV referendum is too early see Is the AV referendum badly timed. I also think that this lower polling of the Lib Dems is effected by the usual drop in Liberal Democrat support after elections as well as unhappy Labour voters. But then again there has been no campaign and the Lib Dem vote is back to its natual level (the actual Liberal Democrat voters). Lib Dems natual level normally results in more seats then Swing-o-Metres show. Homes plan for borough halved - I very much approve of the reduction of home by 2000. However I believe its the number of affordable homes that needs to be improved and indeed social housing. Current plans far way too short. Charlie Brooker's covers the News reporting of Raoul Moat. John Redwood MP for Wokingham ask Where will growth be fastest in the UK? 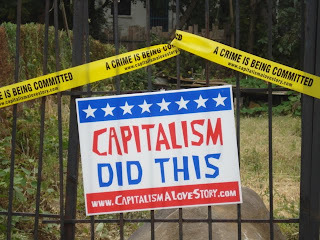 bella Gerens has a very interesting blog on Whither the libertarian state? The Parliament Square protesters have lost their appeal against eviction. Some people are very pleased that their will be no more peace camp or Democracy Village because they see it as unsightly and not a good image for tourists. Others think it should stay because it is a good image for tourist to see democracy and free speech in action. Personally I full somewhere in the middle (yeah I know typical Lib Dem). 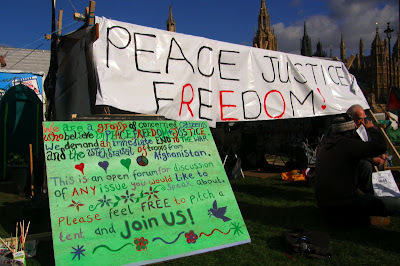 I believe in the freedom to protest but I also believe the camp itself was becoming a bit of a mess. So I'm torn. How about a compromise. The middle way (Yeah I know typical Lib Dem). The problem with the law around protesting near parliament is the Serious Organised Crime and Police Act 2005 (Designated Area) Order 2005. There was little debate as this law was passed as part of the Parliament washup. It restricts freedom to protest in England and Wales. The ban on unauthorised protest around Parliament is one of the controversial parts of this bill . In a way the Democracy Village and Brian Haws protest is a response to this as much as this bill was a response to them. The problem around parliament (it can be augued) is the safety of parliament from terrorist attack etc. This of course halts any sontanous protest. Protest are less effective when set away from parliament as they are out of the way and out of sight (out of mind). So why don't we have an area close to parliament that people can't camp at but can use for protest or speeches and also may leave banners and signs etc to allow a controlled but spontaneous protest. A Democracy area would not cost a great deal of money. Just needs a big board and the police are already on site, easy. Everyone can be happy a safe area to protest. It can be cleaned up when the green area is cleaned. Democracy will still be on show outside of parliament. I will be writing to my local MP and to my party about this idea. You can help me with my initial letter by letting me know what you think? There has been a Facebook campaign in support of Raoul Moat as well as flowers left at the scene of Moat's death and yesterday David Cameron PM said during PMQ "There should be no sympathy for Moat, a callous murderer", this was after being asked to talk to Facebook and ask them to take the site down. I mostly agree with him that this support for Moat is odd. Of course the government should not be asking Facebook to take this site down. I don't believe the government will and I think it would be wrong for the government to get involved in these sites. Human behaviour can often be odd even though Moat has shot Samantha Stobbart, killed Chris Brown and wounded PC David Rathband. This appears to of been forgotten because he has become an anti hero to some as there was a massive man hunt for him and others hid Moat from the police. Of course Moat does not appear to of received the right treatment and I speculate that prison may not of help his state of mind. Indeed there has now been a number of reports that Moat had taped recordings with social workers demonstrating increasingly paranoid. Moat even ask for a psychiatrist or a psychologist. There's not doubt that an investigation (always required when someone is shot) is required as the use of a Taster stun guns could of had a reflex reaction while Moat was holding the gun. Indeed these guns themselves were not approved by the home office. So there are issue that need looking at but at the end of the day Moat did kill a man and shot others. I cant have any sympathy for that. Sometimes it can be hard to understand which side of the Liberalism and Liberal argument a subject can fall under. Take the case of the vote today in the French parliament on 'Open-faced democracy' or banning the covering up of ones face such as with the Veil or Niqab and Burka which has now passed by an overwhelmingly vote (although it must now be ratified by the Senate and will have some legal battles to come). Liberty - The condition of being free from restriction or control. The right and power to act, believe, or express oneself in a manner of one's own choosing. And Liberalism - a political orientation that favours social progress by reform and by changing laws rather than by revolution. is the belief in the importance of liberty and equal rights. As opposed to the economic meaning of both which is the same - an economic theory advocating free competition and a self-regulating market. These terms are more board than they may first appear. They mean slightly different things in different countries. You may note that Liberty doesn't really have any issue with revolution unlike Liberalism, which prefers a more structured change in upholding Liberal values. The French of course are famous revolutionaries. Banning things is not very Liberal. 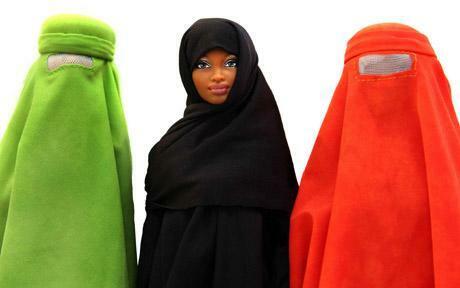 Having a choice on what you can and cannot wear should be a personal matter but as an MP from President Nicolas Sarkozy's party said about people who wear the Veil he saw "a sign of alienation on their faces and had to be liberated!". Accept of course he can't see their faces? The problem is some people choose to wear one (liberal) while others are told to wear one (not Liberal). So to some this is about protecting people which is why this bill is harsher on men (30,000 euros and a year jail term for men who force their wives to wear the Burka) than on women (150 euros fine). As women under this law are seen as repressed even if they don't know it. This of course hides the problem that others will claim that this is their right and their rights are being violated. some will point to tradition and religion (Therefore not a choice but a belief?). Jean Glavany, a Socialist MP, said that it is "nothing more than the fear of those who are different, who come from abroad, who aren't like us, who don't share our values". And that's just it, this ban is about not so much Liberty in France but the French values of Liberty because if you are truly Liberal you would not ban the Veil. This has become a complicated argument and it can be easy to fall one side or the other. The middle way would be to not ban the Burka/Veil but to protecting people with the law that fines people who force this upon others. Now enforcing that of course as with the law being proposed is another issue. 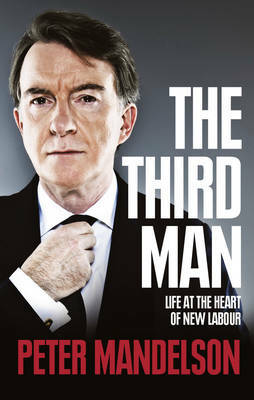 With Alastair Campbells diaries out and soon to be released Tony Blair 'A Journey' and Peter Mandlesons 'The Third Man: Life at the Heart of New Labour' by Peter Mandelson and I expect others to come. Call me cynical if you wish but are the claims of New Labour being dead or perhaps not wanting to win the last election an attempt to sell books in the back of the minds of these men. David Miliband is now calling Labour 'Next Labour'. I have a suggestion why not call Labour simply 'Labour'. Then it can be Next, New, Old all in one. The timing of political books is almost always perfect for the publisher and in this rair case safe for Labour. Political books are often serialised in a given newspaper with some 'revelations' and timed to cause concern and therefore sell more books. I will be buying the Dark Lord's book (Peter Mandlesons) as I expect this will be a good read and underneath it all Peter does entertain and interesting. I can't bring myself to give Tony Blair any of my money or read Alastair Campbells diaries because I can't stand Alastair. I expect New Labour to be trashed and replaced with New New Labour. So who is buying these books then, Let me know? Todays link is to Darrell Goodliffe blog Moments of Clarity Leftie and Labour who has a blog on Mandelson’s mischief making…. I happen to think that holding the Alternative Vote verses First Past the Post referendum in May is bad timing. Surely it is too early to get the campaign going on winning this Alternative Vote. Is it not too soon after the general election to start running a campaign especially when there are elections in Wales and Scotland. I'm not sure the public or the campaigners are going to be ready for it. I think people need time to consider these elections and we should not only hold this vote later (at least two years later) but to get the voters out that really care about FPTP or AV or voting reform (and therefore understand the arguments) would it not be best to hold this possible change in our voting system in a completely separate vote. Is it not better to let the coalition settle so as to not pressure the coalition if David Cameron or Nick Clegg is seen to of lost a public vote? I of course do not believe that the result of this vote will be devastating for Nick Clegg or indeed David Cameron but it does offer more pressure and sticks to beat them with by Labour and others. I understand the above would include a cost but democracy does cost money (at least a delay also delays the cost). A compromise would be to hold the vote during council elections in later years instead of the same time as the Welsh Assembly and Scottish Parliament elections. Another problem as I see it is that this issue will appear on many Lib Dem Leaflets and therefore may appear to be more of a Liberal Democrat campaign then a vote "Yes" on AV campaign. This could cloud the result as some voters may think their voting/siding with the Lib Dems on this rather than for say better democracy. The vote will be more party political then it needs to be. Of course there are others who believe that an early referendum would be a good idea see Five reasons to cheer the timing of the AV referendum for example. I find myself disagreeing with Mark Reckons. His first point on 'referendum has not been kicked into the long grass'. This is true but it is also true if a date is set for 2012 or 2013 that we know it coming and hey all the more reason for the Liberal Democrats to stay in a coalition. 2nd point. Mark believes that having the vote 'coincide with the local and Scottish/Welsh elections will increase turnout'. Well yes but will it improve the quality of the voter understanding? Will there be more votes just choosing an option because they have to? 3rd point 'easier for the Lib Dems to get out the vote for a "Yes" vote'. Well Lib Dems would be out campaigning in either case for a yes vote anyway and maybe less Tories? Also Labour people who support the 'Yes' vote and infact others like UKIP will also beable to concentrate on helping the "Yes" campaign. I dont see this as a plus point. 4th point ' It will ensure that the Labour leadership candidates have to properly address what they would do and whether they will support a change'. Yes this point I do agree with. But then again Labour as a party would still have to address this later and I don't see this as a key factor in the Labour leadership selection, althought it is interesting to know their views. 5th Point 'It will give us 4 years to get the necessary changes in place if there is a "Yes" vote'. Again a very good point so we should not leave it too late. But surely this can be organised in two or three years, so not a major issue. I guess the date is not going to change now and I will be campaigning for AV but I will also be helping in local elections and this will make the AV look for like a party issue (i.e. a pro Lib Dems one) which may make the "Yes" vote a little less popular with some. 38 Degrees are holding a petition to question the 100% stake in Sky that Rupert Murdoch is currently aspiring to. 'Rupert Murdoch has his sights set on gaining complete control of BSkyB and increasing his stranglehold on a free and independent media in the UK. He currently owns 40% of the company but wants to increase his stake to 100%. This would be a disaster. It would give Murdoch even more political influence and it could open the door to biased, right-wing news like Fox News in the US. A free and diverse media is a huge part of what makes democracy work. We can't rely on big business to make the right decisions about Murdoch's plan to buy BSkyB. It needs full and proper scrutiny by government. Vince Cable, the Lib Dem Business Secretary, has the power tell regulators to investigate the purchase before it goes ahead. Hidden cameras in Birmingham's Muslim areas are now to be removed. These are not just a few cameras but 218 cameras of which 72 were hidden and others were number plate recognition cameras. How did we ever let this happen? What with this and PVE (see my post here) how can Muslim communities every expect the government to trust them. Personally I can't believe a Labour government become this distrusting of what was a community that were more likely to vote for them. If I was Muslim I would never vote for Labour again. Residents said they were 'not consulted'. Damn right that's because they (the police state?, the government?) are spying on you. It's shocking to think that this can happen in a parliamentary democracy. Frankly I'm embarrassed that people refer to Britain as a Liberal society when this type of community surveillance project can be signed off and setup. Labour appear to be jumping on every story at the moment. I personally I don't like these cuts but I do understand that they are not going to be 40percent. This is an exercise to find out where cuts can be made and while doing this departments may find cuts they didn't realise they could make. This could give them more options. Some departs will be making say 10% cuts while others 30%. It seems to me that Labour appear to oppose every cut. However they claimed to of made plans for billions of cuts. Surely some of these cuts would of been simular to the current governments. 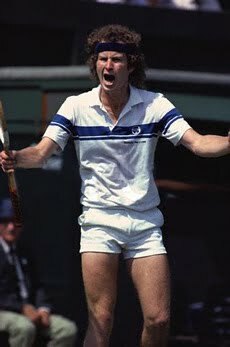 SmithNN8 Tweeted to me yesterday that 'Borrowing is just deferred taxation'. Thats just it, how long can you go on before the interest rates become too high or recovery is not as strong as hoped. How long can you wait until you make the cuts and if you wait too long could cuts be worse or tax higher? I think Labour needs to improve its opposition so that it does not oppose everything otherwise voters won't take them seriously. This weekends Crowthorne Carnival will include stalls from both the Conservatives and the Liberal Democrats. Do pop down and check out the stalls. A procession is at 1.30pm with music on stage at the Morgan Rec. there is also a fairground, ski slope and beer tent.